Lasting beauty is achieved by combining beveled and textured glass with a prominent central flower cluster in this traditional glass lite series. This outstanding geometric pattern with gold reflective bevels, is designed to provide a delightful play of light in your home. PLEASE ALLOW 2-3 WEEKS FOR DELIVERY AS THE DOOR IS CUSTOM MADE. This series uses stained glass and sections of decorative mitered glass in a geometric pattern to create a design that is the hallmark of understated elegance. Clear beveled half moons are just one feature of this attractively patterned glass lite. Rounded out with complementary textured and beveled glass and a distinctive caming pattern, this insert has a traditional yet modern feel. 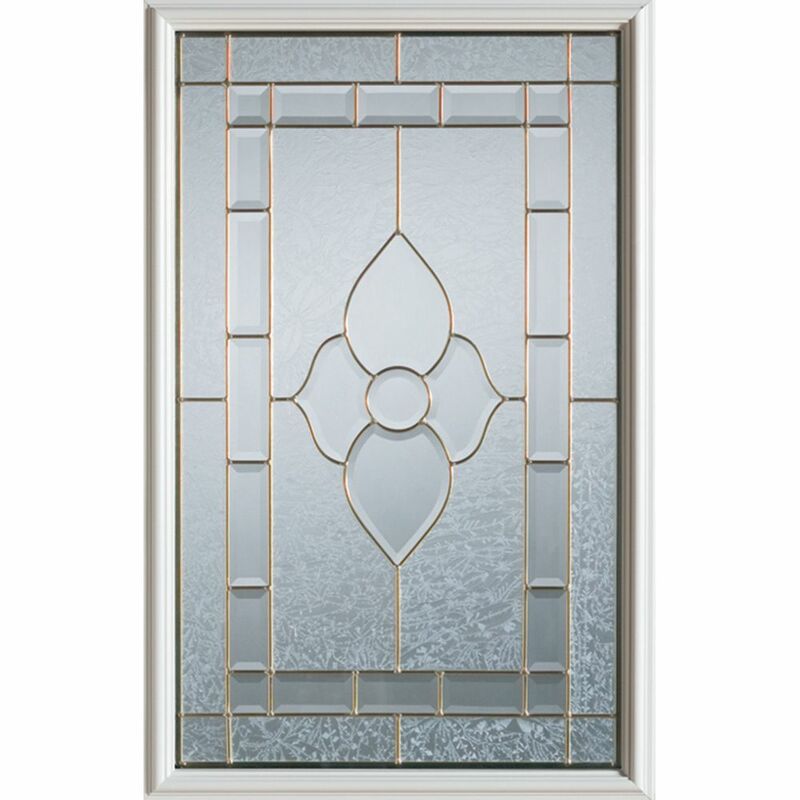 Inspired by classic Art Deco patterns, this line of stained door glass will bring a touch of treasured elegance to any home. 23 inch x 37 inch Marguerite Brass Caming 1/2 Lite Decorative Glass Insert Lasting beauty is achieved by combining beveled and textured glass with a prominent central flower cluster in this traditional glass lite series.